Lock in a great price for Bed and Breakfast Alla Vigna – rated 8.6 by recent guests! The management was wonderful, friendly & helpful. The room bigger than expected & a lot of natural light & the breakfast was delicious and the capachino were out of this world! We loved how it was removed from all the hotels and busy part of Venice, very relaxing, quaint & peaceful! 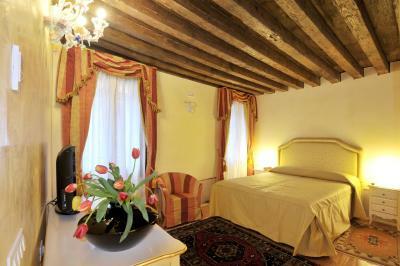 The B&B was excellent overall, very clean, comfortable and elegant, with lots of Venice charm. The location was great, since it is away from the crowds, and there are several great food options right in the neighborhood. Including a bakery right around the corner, which is amazing. The breakfast was simple, but very good, with fresh croissants every morning. Santos made the best cappuccino that I had during my trip. Our morning conversations with Santos were a highlight of our trip to Venice. He is very knowledgeable and gave us lots of helpful tips and directions, as well as some history, which made our stay much more enjoyable. The next time we are in Venice, we will be booking here again. Thank you Santos! The B&B is very well run by Santos who is very helpful and serves the breakfast, typical European fare. My spacious room was on the ground floor with two big windows that opened onto a small canal with a convent and ringing bells across the way. The king bed was very comfortable, the wardrobe held all of my clothes, the marble bathroom was spotless. Housekeeping was excellent. For me the location was perfect, off the beaten path with few apparent tourists. The restaurant Da Jonny nearby was excellent. Only downside, I got very lost twice trying to find my way back home one afternoon and one evening, a panicky experience. The staff went above and beyond to meet your needs as a guest. It is in a more quiet location away from the majority of the tourism. The building is very nice. I'm not sure why it is only rated as a 2 star hotel, I've stayed at 3 and 4 star hotels that didn't compare to this one. We were made welcome by Sanchez even if our ferry was so later...the room was large and comfortable...breakfast was good ..thank you Sanchez.. The location was great—away from the crowds and not touristy, but some nice little coffee places and restaurants nearby. Alla Straffa was the best meal nearby. Our room,101, had a nice view of the little canal and convent courtyard. Citymaps2go off-line street map was indispensable. Santosh was the highlight of our stay! He is a wonderful person and guided us in regards to places to visit and which water bus routes to take. The room was spacious for a couple and decent for a B&B. Very well located . The room was clean and large. Breakfast was nice and the staff very friendly. An excellent address in Venice. We will come back. 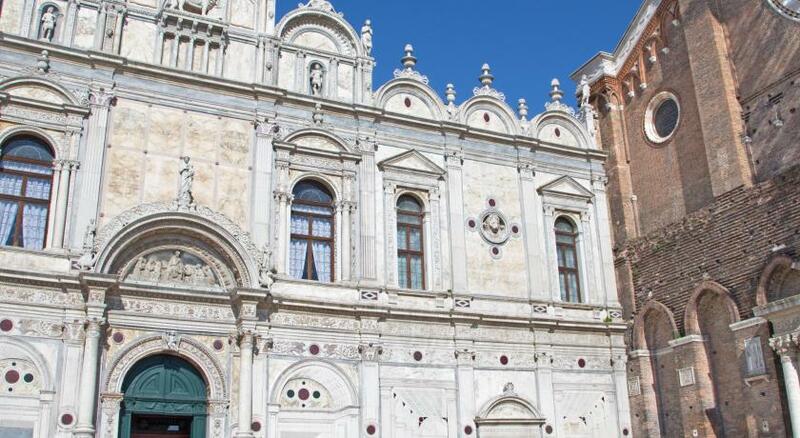 One of our top picks in Venice.Housed in a 16th-century building in the heart of Venice, Bed and Breakfast Alla Vigna offers air-conditioned rooms with a traditional Venetian décor. It features a common area where Breakfast is served daily. WiFi is free throughout. Boasting a flat-screen satellite TV and private bathroom, all rooms at the Vigna come with wooden floors and antique items. A sofa, desk and mini-bar are included in each. The bathroom comes with either a bath or shower. 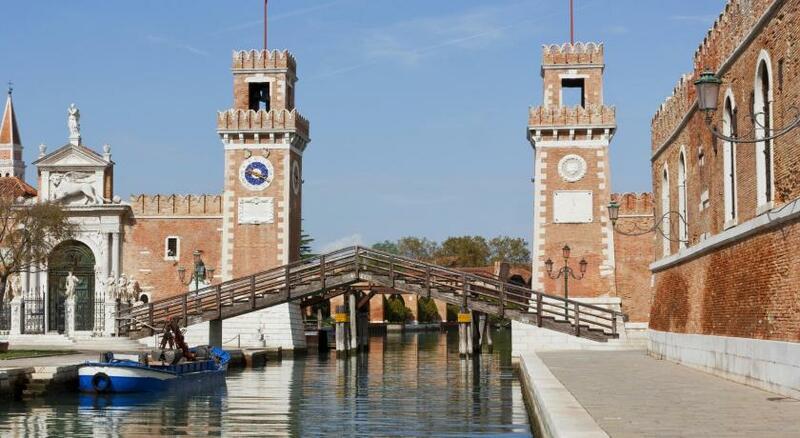 Both the Ponte dei Sospiri bridge and the Piazza San Marco square are about 2,950 feet from the property. A 10-minute walk away, the Fondamenta Nuove ferry stop offers connections to Murano. 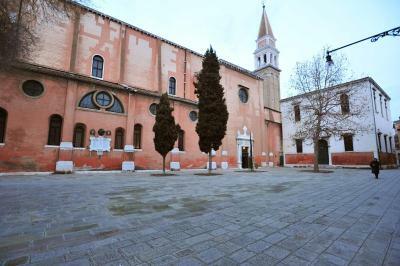 뀐 Located in the top-rated area in Venice, this property has an excellent location score of 8.6! When would you like to stay at Bed and Breakfast Alla Vigna? Air-conditioned room with a Venetian décor. It features free WiFi, a flat-screen satellite TV, and a private bathroom. A sofa, desk and mini-bar are also included. The bathroom comes with either a bath or shower. Air-conditioned room with a Venetian décor. It features free WiFi, a flat-screen satellite TV and a private bathroom. A sofa, desk and mini-bar are also included. The bathroom comes with either a bath or shower. House Rules Bed and Breakfast Alla Vigna takes special requests – add in the next step! Bed and Breakfast Alla Vigna accepts these cards and reserves the right to temporarily hold an amount prior to arrival. A surcharge of EUR 30 applies for arrivals from 21:00 until 00:00. From 00:00 until 01:00, late check-in costs EUR 40. All requests for late arrival are subject to confirmation by the property. The latest possible check-in is 01:00. Very few things are served in the hotel. The breakfast starts from 8.30, which is too late for us to catch a early train. Location was a bit far to all major tourist points and breakfast had limited options. The shower drain was blocked throughout. Also, the location on Google map by the name of B&B Alla Vigna is not right so location coordinates mentioned on Booking.com page should be clicked and followed. The first night there was the disco pub on the ground floor open till late. Too noisy! The chair cover in the room was dirty and the bedcover had some tears. We stayed for 8 nights and we are absolutely happy! Friendly staff, good location. I recommend this hotel. quite dark in the room. manager was friendly and helpful. Room was large and very comfortable. Breakfast was quite decent. Location pretty good too. If I have to write something to approve it would be vegetables and cheese for the breakfast, we are eating in a healthy way, and the vegetables are important to us. It was a bit strange at the beginning, especially the entrance to the building but it was ok after all, it would be better if they would put a sign with the name of the hotel. The staff, I mean Sanchez, because we haven’t seen other staff, He was kind and friendly with us. The location was good, we could explore the island great from here. The canal view was not ideal, as there was some restoration work going on, but that is not the fault of the B&B, that's just Venice. Amazing experience. great location. clean rooms. fab shower. lovely breakfast and very friendly staff. It's way better that what you would expect from a B&B. Will definitely go back! Santos makes the best Cappuccinos! !